If you missed it, see part 1 of this series of articles on competitive intelligence. 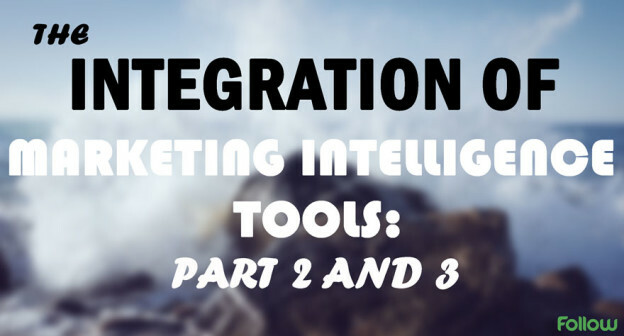 Today, we’re going to be integrating AdClarity, SpyFu, and SimilarWeb. Just as a quick recap, AdClarity is a marketing intelligence tool that lets you uncover your competitors’ online media strategies, enabling you to discover new traffic sources or publishers to work with, see which traffic sources are most successful, see what the best creatives, landing pages, offerings, and campaigns are, and extend your own reach by discovering untapped markets and audiences, growing your own client base, and increasing brand awareness. SpyFu is a competitive intelligence based resource tool that is used for improving SEO and PPC campaigns. SpyFu shows you which keywords your competitors are buying and which ones they optimize their site for. They show how a history of high-performing keywords and copy can help you develop PPC ads that convert. For SEO, you can also research keywords along with backlinks and top-ranking content ideas to map a strong campaign. SimilarWeb is an online presence research tool which allows you to understand your competitors’ website’s engagement metrics, such as visits, duration, and bounce rate. You can optimize your PPC and SEO campaigns based on your competitors’ top keywords, including not-provided keywords and discover how much traffic each keyword drives to your competitors, from paid and organic search. So remember, you’re a small to medium business owner in the travel industry who needs to figure out how to plan and launch the perfect online campaign. You don’t know where to begin, who to target, or what campaigns to run — you’re starting from zero! But with marketing intelligence, you will be able to uncover the online marketing strategies of your competitors and top influencers, enabling you to create an optimal campaign and strategy based on what has proved to work while avoiding what has proved to fail. All right. I think we’re now ready to take the first step into creating the perfect campaigns. Let’s go! The first thing we are going to do is to use AdClarity to figure out which publishers TripAdvisor is choosing to work with. 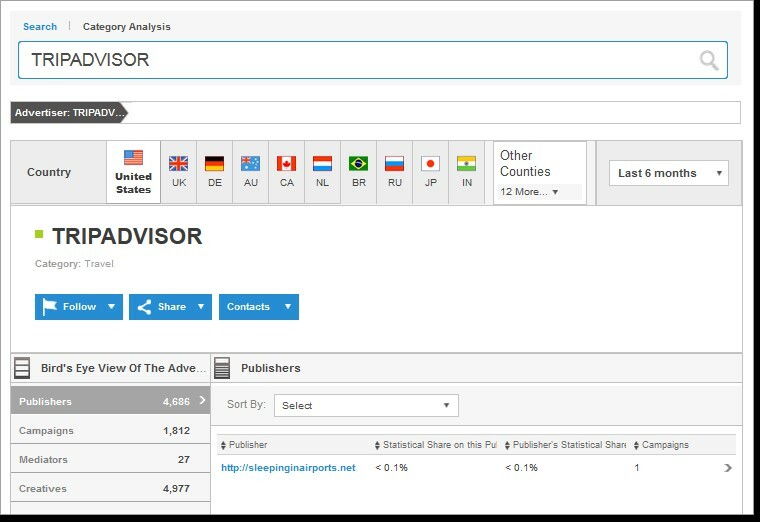 We’re also going to look at who they are investing in the most by sorting the list from the highest to lowest statistical share on this publisher. So, first of all, by looking at the list of publishers, I am able to discover new publishers to work with, as I know these sites are targeting my audience. But to make sure I’m really making the right decision in regards to finding the publishers that will bring in the best results, I will look at which sites TripAdvisor is running most of their campaigns on. The number of campaigns that TripAdvisor runs on each website gives us a clear indication of which websites work for them and bring them quality traffic. I can assume this because I’m sure that TripAdvisor wouldn’t be spending a majority of their ad budget on publishers that didn’t work for them. These insights will help me discover new premium sites (that are guaranteed to yield high results) to run my campaigns on, and in turn, will help me extend my reach (by reaching new target audiences). Now, looking at SimilarWeb, we get a different perspective on the website or publisher’s landscape. 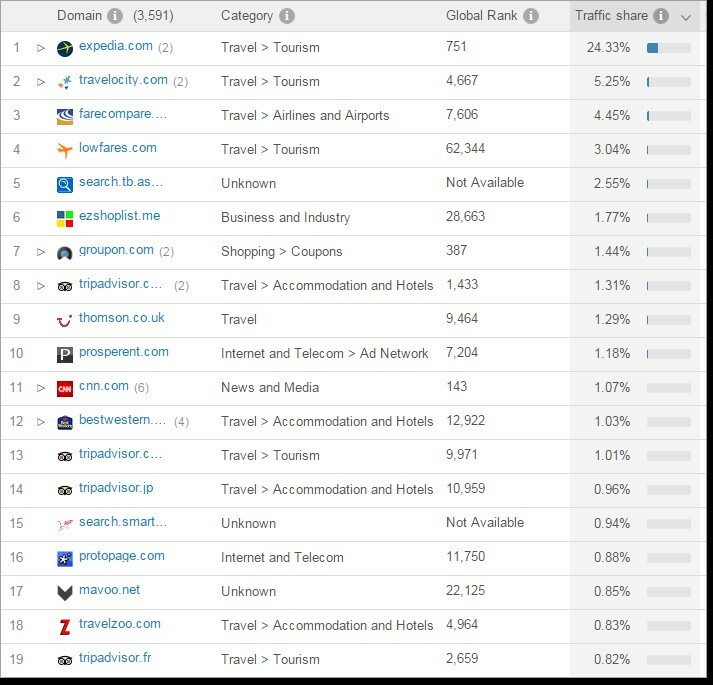 Here, we can get a bird’s-eye-view of the total traffic coming in to TripAdvisor’s website and see which publishers are actually bringing in the highest amount of traffic. Now, TripAdvisor is a bit tricky in this sense, as they have sites which link back to Tripadvisor.com and are affiliated with many other travel sites such as expedia.com, hotels.com, and others like them. So, we have to be quite careful when identifying publisher sites as some of them could be other TripAdvisor sites or their affiliate sites. Looking at sleepinginairports.net for example, which is neither an affiliated travel site nor a trip advisor site, is a great example of an online publisher we should advertise on. You may think that a referral rate of .47% is small, but when you take this referral rate (estimated over a 5-month period) and compare it to the total visits in those 5 months (45,900,000), you’ll see that this tiny blog brought over 215,000 visits. This is especially crucial when you see how much TripAdvisor actually invested in this blog. AdClarity lets us see exactly how much of TripAdvisor’s total campaigns are actually running on this site, and it’s less than .1%. So, even though you may think that 215,730 is not an impressive number, think about it this way. Sleepinginairports.net brought in these visits with 1 TripAdvisor campaign running on the entire site. 1! That’s nothing! So why is this good for us? Firstly, we see that sleepininairports.net is actually bringing in a pretty high number of visits to TripAdvisor, considering the minimal spend and effort TripAdvisor has put into them. I can assume that because of this, sleepinginairports.net targets the exact audience that TripAdvisor is looking for, which means they also target my exact audience. If TripAdvisor had actually done this analysis, they would understand that they should begin serving more ads on this site — not just running one campaign. And so, because TripAdvisor hasn’t figured out this gap in the market, we are now able to tap into it with little-to-no competition. This means that I won’t be trying to outbid other premium travel companies. Rather, I’ll most likely be able to place a bid that is close to the floor price of the publisher. 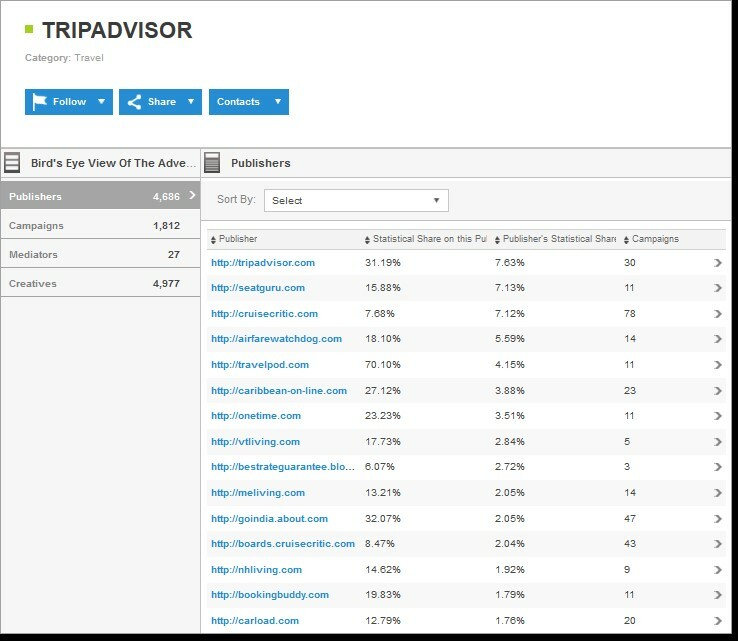 These insights now allow me to not only extend my reach by discovering new traffic sources to work with, but also virtually eliminate my testing budget by not spending money on publishers that don’t work (according to TripAdvisor’s publisher list), and minimize my spend by discovering untapped markets with little-to-no competition. Alright. Now let’s get to the next part. We’re going to be using SpyFu and SimilarWeb to figure out if there is a relationship between display referrals, monthly website visits and monthly ad budget. Right now we’re looking at SimilarWeb to see the number of display ad visits to TripAdvisor.com in the past year. We can see that there is a general trend throughout the year where the summer months bring in the most display ad visits and the winter months bring in the lowest number of display ad visits. However, when we look at their overall website visits, we do see that there is a peak in the winter months during January. The reason for this is that January is known to be the best time to get the best deals for the holidays. Now, we’re going to use SpyFu to look at the yearly display ad budget for TripAdvisor. We can see that there is also a general trend here where the summer months get the highest ad budget and the winter months get the lowest ad budget, which makes sense. But what doesn’t make sense is that although January brings in a relatively high number of website visits, it gets the lowest ad budget for that overall year. What we can deduce from this is that TripAdvisor has figured out it can lower its monthly ad budget for January while still retaining a high and stable number of monthly visits because people know that they should go book their flights without needing ads to remind them to do so. This saves them a ton of money, as they still get a high number of website visits while minimizing ad spend for the month. Why is this helpful to us? As a small travel company, we need to spend as little money as possible and still get the best possible results. We see that even though TripAdvisor spends a minimal amount of ad spend in January, they still bring in a lot of website visits. And we can assume that if TripAdvisor was to increase their ad budget for February, they would have an even higher number of visitors. This creates a sort of untapped source for us. TripAdvisor isn’t spending much during these months, which means that we can take advantage of this and promote ourselves more heavily in January. We wouldn’t have to have such a high competition with them because they haven’t flooded the market in that month, leaving room for us. 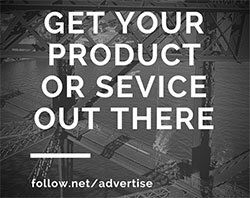 We can invest a reasonable amount of money in display ads because we don’t have to outbid our competitors and promote our own services and company during this month. If you think this was awesome, wait for the next blog post. Gal Perelman is the Content Marketing Manager at AdClarity, the leading Marketing Intelligence tool for anyone in the online advertising industry. She loves learning and is constantly challenging herself to master new topics in all ranges in her industry. She will master the entire process of ad exchanges and programmatic buying one day! She loves dogs, especially boxers, hates snow, loves to read, and is obsessed with Law & Order.